Anyone reading between the lines after the closure of ratings app Oink, may have picked up a signal about the state of social, local, mobile services today. After all, if a well-designed app with lots of press coverage can’t get enough traction to make it worthwhile, then perhaps the glut of apps that connect places and people together has reached its peak. Even if that is true, however, there’s also plenty of room for movement — because as busy, as the market is, it’s also fairly open. Apps like Foursquare and Path continue to make plenty of noise, but there certainly haven’t been any clear winners yet; something that is merely encouraging more companies to keep trying to solve the puzzle. Witness two European startups that are both going into public beta on Thursday — Everplaces and Circleme — and both think they’ve got twists on the SoLoMo formula that they hope will make them stand out from the crowd. First up is Everplaces, a small Danish startup that has built a beautiful little service for storing snapshots of places you love and sharing your tips with people. Originally conceived as an “Evernote for places”, co-founder Tiny Thygesen says the team have spent the last few months working in private beta to try and develop a better idea of what users are actually looking for. Users can take to the website or use an iPhone or Android app to track and record places of interest. These can be entirely personal and private, or shareable — which means you can follow other people’s recommendations, filtering them for areas of interest such as food, sports or hotel recommendations. Since launching in December in an unpublicized invitation-only beta, the site has gathered a small user base who have uploaded more than 45,000 locations to the site. There has been particular traction in the U.S. and Germany, and plenty of requests for users for more tagging and filtering functions to help them organize the places they track. With things still very early, Thygesen says the company is concentrating on growth rather than revenue, but suggests it may look at a TripAdvisor-style affiliate model, where recommendations that turn into purchases — such as finding a good hotel — give a little commission back to the company. Overall, Everplaces feels clean and sophisticated, and there’s definitely a focus on reducing the noise that is often present in apps like this. Meanwhile Italian recommendation service Circleme is taking a similar step forward by moving into public beta and adding a mobile app. The site, which I wrote about in December, takes a broad approach to cataloguing people’s likes — with a database of people, songs, places and that today numbers more than 1 million objects. From today, users can sign up without impediment, and once they’re in the service they can now start connecting the things they like to physical locations. That allows other users to seek out things to enjoy in their local area — or even get notified whenever they happen to pass a point of interest saved by somebody they trust. This is part of what the company hopes can help it stand out from market crowded with recommendation and taste-making services. It has added 10,000 users since Christmas, but is hoping that it can expand significantly now that the careful lockdown on new additions has been lifted. In the long run, the company wants to monetize by getting companies to associate themselves with popular items (BMW, for example, paying to incorporate extra material alongside item listings for their cars, for example) but — again — that will require scale. Whatever way you look at it, these ideas — however well implemented — face a tough job to stand out. 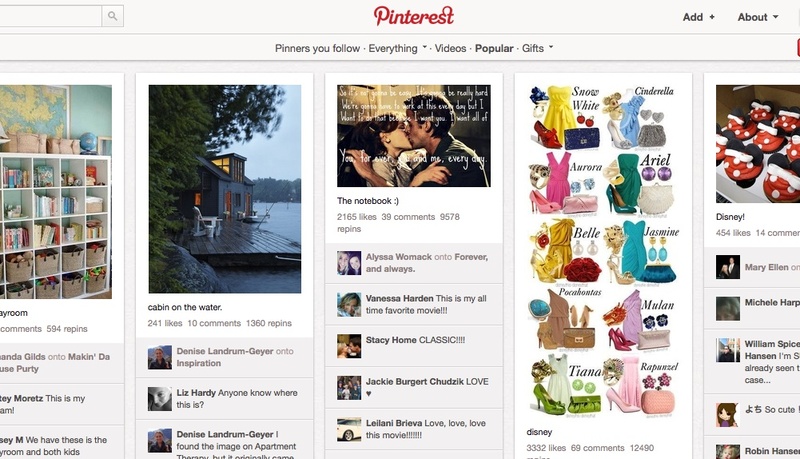 Whether it’s Pinterest or Delicious on one hand, or new location bookmarking services such as Pinwheel or Pindrop on the other, the idea of hooking the things you like and the places you love is clearly one that is now part of the commons. To stand any chance, both services must work the angles to find what makes them special. 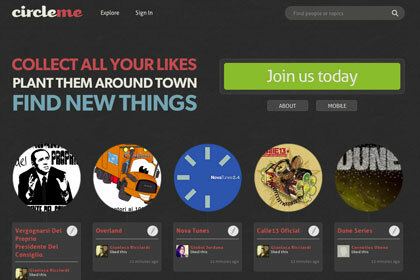 For Circleme, that may be connecting the dots between a broad recommendation service and a location-based network. 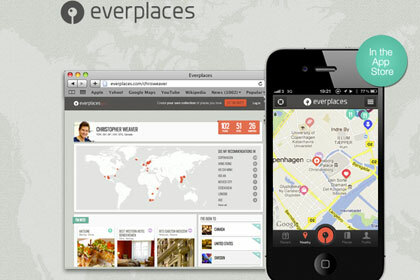 For Everplaces, it may be tapping into local knowledge in a smart way. But they both think there is one element still missing from many of their competitors: a tie to real things. Everplace’s Tine Thygesen tells me something similar. Instead of focusing on vapid virtual connections, she wants to focus on real physical spaces — because they carry more meaning and have a more obvious use for people. I’m Tim Johnson with Taap.it, a mobile app that lets users to rate specific items inside stores and restaurants (very similar to Oink). In addition, you also unlock local merchant rewards and win weekly giveaways, while you’re taaping items on the go. We have 4 million items in our database to date and about 5000 merchants. With the discontinuation on Oink and the duress that’s caused, we offer a little solution to make the world a little less bleak for loyal Oinkers. With a simple, one step Oink-to-Taap Import Tool located at http://taap.it/import-oink, former Oinkers can convert their painstakingly accrued â€œOinksâ€ into â€œTaapsâ€. In such, participants can then use their new â€œTaapsâ€ to unlock local deals and earn rewards in weekly contests. Again, the link for our Oink-to-Taap Import Tool is http://taap.it/import-oink. We’d appreciate if you could help us spread the words, as Oink is completely shut down in 2 weeks. We hope Taap.it can help you to continue your local discovery experience and rate things on the go.